The war has already been raging for two years in Donbas but the Ukrainian army is still in dire need of drones. It’s only the volunteer activists that provide for minimum supplies of unmanned aerial vehicles (UAVs). But these supplies don’t often meet certain military requirements, only being able to perform a limited number of tasks. "The troops constantly ask for help. Right now, we collect money for a recon battalion. They still do not have a drone, and the Defense Ministry didn’t plan to supply any. So we got a letter from them, and took up the realization of this project," said a volunteer from the Popular Support for ATO warriors charity fund, Serhiy Hlotov. According to him, the list of the most important orders for the military is topped by drones, optics and vehicles. "We collect money by the crumbs, then we find a company to perform the order. There are such companies in Kharkiv, Kyiv, Odesa," Serhiy said. UAVs are relatively cheap, costing between $1,500 and $3,500. Trying to minimize losses, the volunteers supply two copies at once – one for training and another one is fully equipped for reconnaissance missions. Hlotov admits that these UAVs are not of the highest quality. They are virtually manufactured from scrap materials – spare parts are purchased on the Internet and are usually intended for civil use or aircraft modeling. One can’t just buy military technology, plus their cost is incomparably higher. "The media is constantly spinning the news of some UAVs being developed for someone. But during my visits to the ATO zone, I only saw the drones made by activists, or quadrocopters, [model] planes, - says a volunteer,” says the activist. “I haven’t seen any purchased by the state." The Defense Ministry does not carry out serial procurement, while only a few Ukrainian-made models have passed military standards compliance tests. 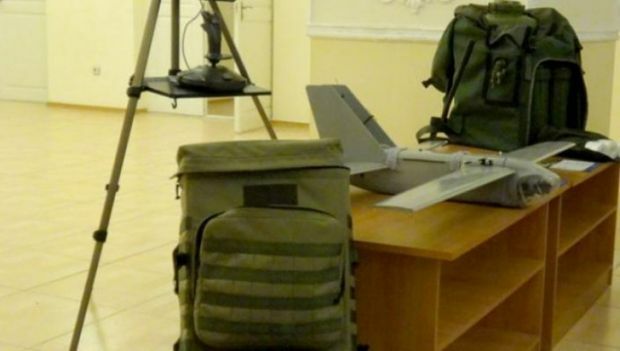 According to military expert, director of information and consulting company Defense Express Serhiy Zhurets, the Ukrainian forces at the frontline generally need 400 pieces of UAVs with an under-20-km radius. In fact, the troops would be happy to see at least 100 of them. Zgurets is positive that for now, the Ukrainian companies are not yet able to fill this military market niche, because unmanned aviation in Ukraine is still at a rudimentary level. "When the war broke out in 2014, the army had obsolete Soviet UAVs. The need for the combat field complex units at the outbreak of hostilities was covered by activists, but such systems were able to carry out a very limited set of tasks. However, there was no other options,” said Zgurets. According to the experts, Ukraine has enough – several dozen – companies willing to produce such equipment. However, not all of them meet the requirements of the Defense Ministry. The tests were only successful of Furia drones by Antlon-Avia and Spectator created jointly by the KPI [Kyiv Politechnical Institute] and Meridian plant [part of Ukroboronprom state-owned defense concern]. "In Ukraine it is necessary to create conditions for the development of unmanned subjects with an emphasis on private companies. It is also important to minimize the risks of supply foreign-produced drones, which may pose a threat to our producers," said Zgurets. Foreign-made UAVs have already been put to service with the Ukrainian military for over a year. But they are much more expensive than the Ukrainian-made equipment. In particular, in 2008, Ukraine has bought a bulk of Israeli Bird Eye drones at the price of $1.3 million. Meanwhile, the price of one set of three Furia drones, which is not inferior in its characteristics to imported models and is well-acclaimed by the military during combat missions, is ten times lower - $2.5 million. According to the Antlon-Avia CEO Artem Vyunnik, since early June 2014, the company has delivered more than 40 drones to the front line, of which today there is only a half still operating. "UAVs have been lost for various reasons –they were being shot down or simply exhausted their resources. One can talk of pilot errors. But we must understand that this is aviation technology working in the real conditions. For example, the wind can change sharply. Also there were even cases when the drones were sacrificed to distract the enemy," said Vyunnik. By the way, the Defense Ministry pledges to solve the problem if pilot errors. "As early as this year, we will start the training of UAV crews," Defense Minister Stepan Poltorak said. When the conflict was only unfolding in eastern Ukraine, there were already plans to create an attack drone for the Ukrainian Army. Volunteers and enthusiasts took up this idea, but the test series ended up tragically. At the end of 2014, during a test of a home-made grenade-equipped drone at a Yavoriv training range, its designer was killed. Meanwhile, the UAVs have been actively used by the enemy. For example, in mid-February, several drones of the pro-Russian militants dropped phosphorous bombs on the Ukrainian military warehouses. On March 24, another enemy drone was spotted near the Ukrainian military warehouses, but this time it was shot down. Even on a state level, producing attack drones is often unaffordable. For example, the cost of a U.S. 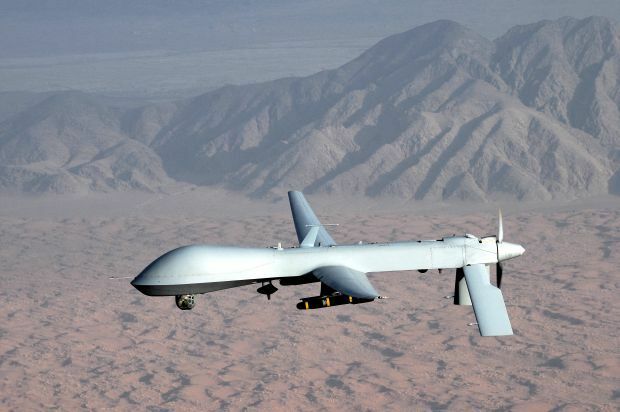 Predator project totaled $2 billion, while the price of a single Predator drone amounts to nearly $5 million. Nevertheless, Ukroboronpromm took up the idea to create such attack drone. According to the company’s top management, it is developed at Antonov, Ukraine’s major aviation design bureau. The production of a prototype can begin before the end of 2016. But not everyone shares such optimism. Zgurets believes that the project will be completed, if at all, not earlier than in five years. Meanwhile, in early March, there was quite a stir on the Internet caused by the news on the development by the National Academy of Sciences of Ukraine of a jet impact drone. Technical specifications of this device are questionable, so military experts have treated the project with a share of skepticism. The drone has a very strange and primitive shape, while carrying a shot for a Soviet RPG grenade launcher instead of the announced guided weapons. However, maybe the concept was designed as a test piece for a one-time action, as a kamikaze drone. UNIAN found no detailed information on this project. 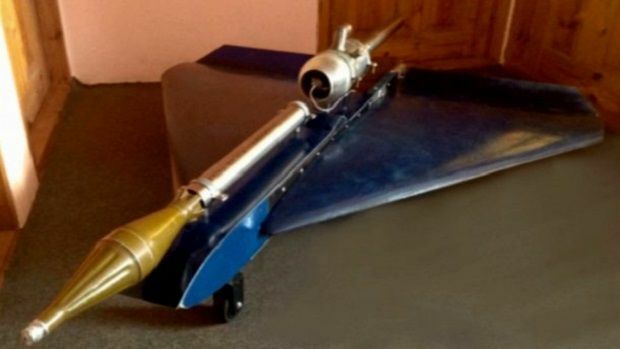 But even if we assume that the Ukrainian scientists design and demonstrate in the near future a Ukraine-made attack drone, putting it into service and finding the money to fund the purchases may take years.